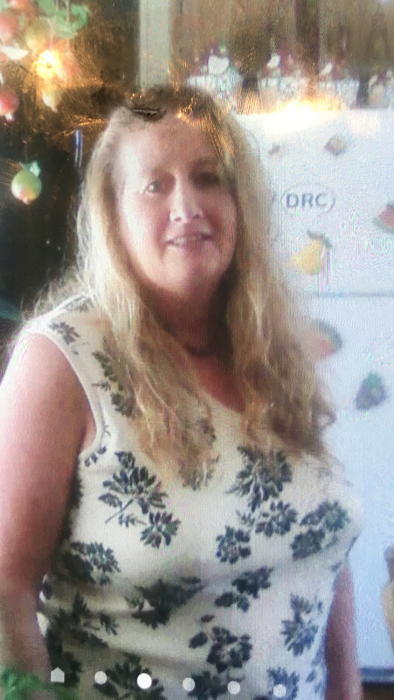 Patricia Pruitt Earles, age 51, of 1045 Twin Arch Dr., Danville, VA, passed away unexpectedly on Tuesday, April 02, 2019 at her residence. She was born on June 13, 1967, in Danville, VA, to Nancy Crews Elkins; and the late “June Bug” Pruitt. Tricia was of the Baptist faith, an avid lover of animals and flowers. She did it her way, rest in peace, Tricia. In addition to her mother, Tricia is survived by her husband, Terry Earles; children: Tim and Tyler Earles; grandchildren: Caitlyn and Justin Earles; siblings: Lisa Pleasant (Roger), Connie Burton, BJ Jones (Scott), and Gloria Hobbs (Ben Johnson); step-mother, Shelby Pruitt; step-father, Fred Elkins and best friend, Terri Watson (Ray). A celebration of Tricia’s life will be held at 2 PM on Friday, April 05, 2019 at Swicegood Funeral Home with Rev. Joe Kendrick officiating. Visitation will be held one hour prior to the service at the funeral home. At other times, the family will be at the residence, 1045 Twin Arch Dr., Danville, VA and her mother’s residence, 1221 Inman Rd., Danville, VA. In lieu of flowers, donations for Tricia’s funeral expenses can be made to her mother Nancy Elkins, 1221 Inman Rd., Danville, VA.
Swicegood Funeral Service is respectfully serving the Earles family.